This fantastic family apartment is located on the beach at the very end of La Manga, the apartments have 2 good size bedrooms and 1 bathroom, the fully equipped kitchen has all the modern appliances required. 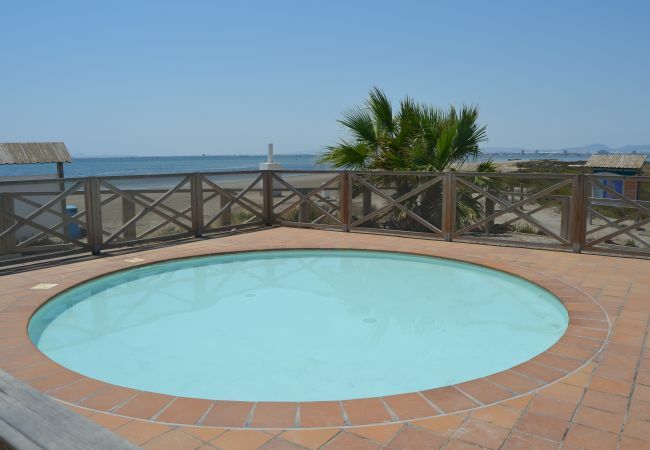 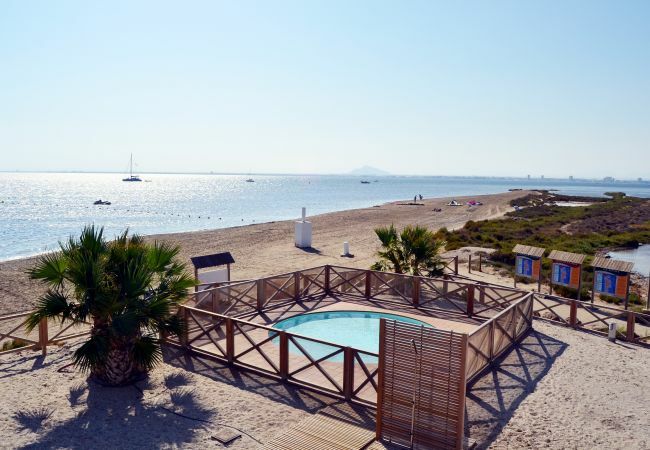 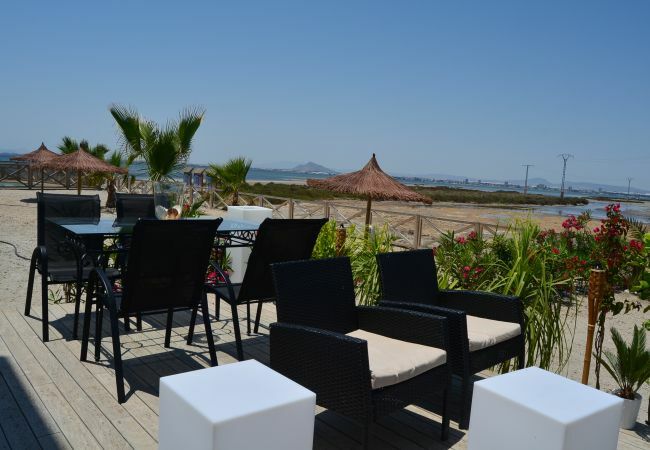 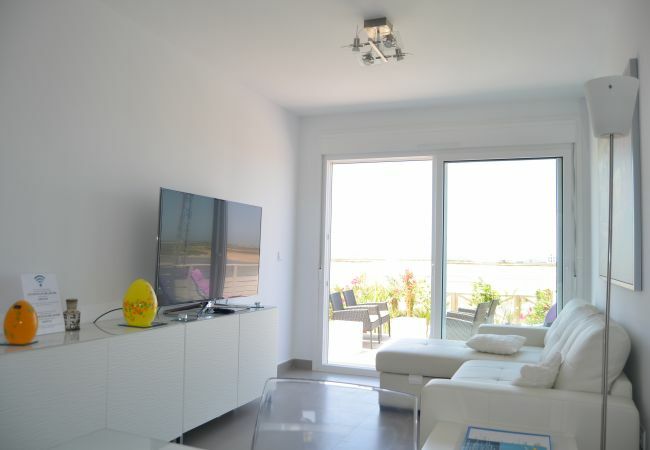 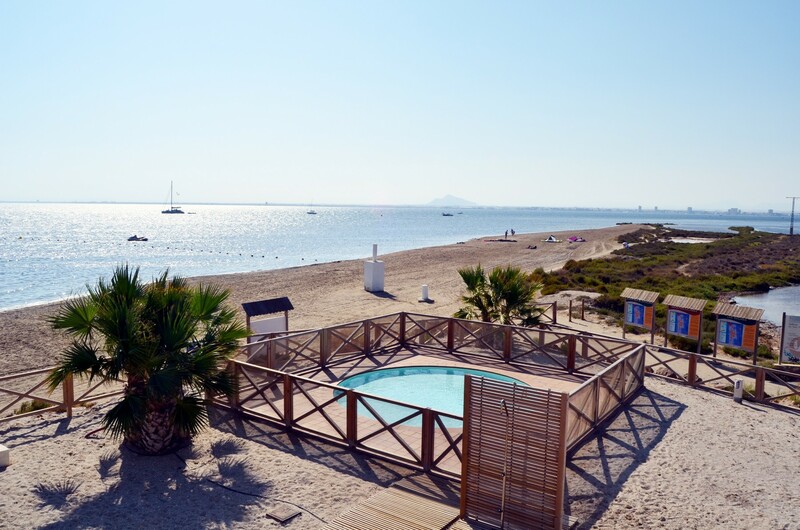 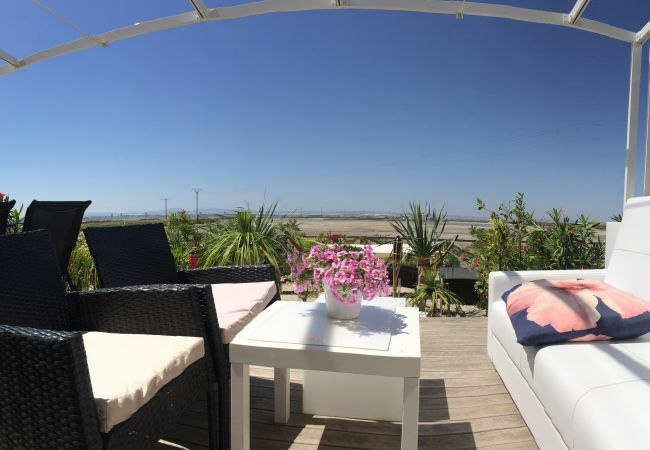 The balcony has super views of the Mar Menor and the beach, a place to eat out of sun bathe. 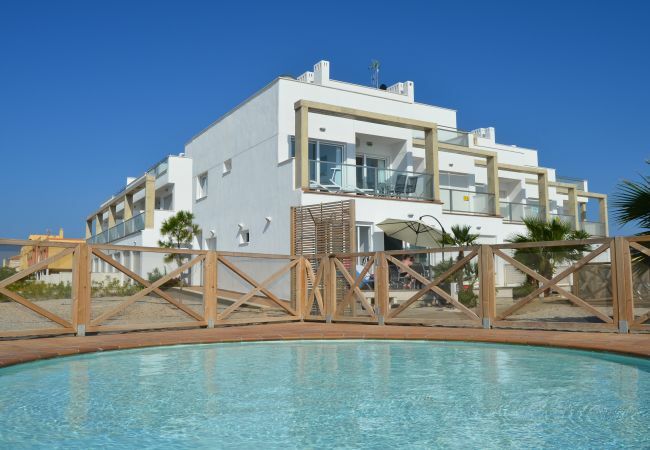 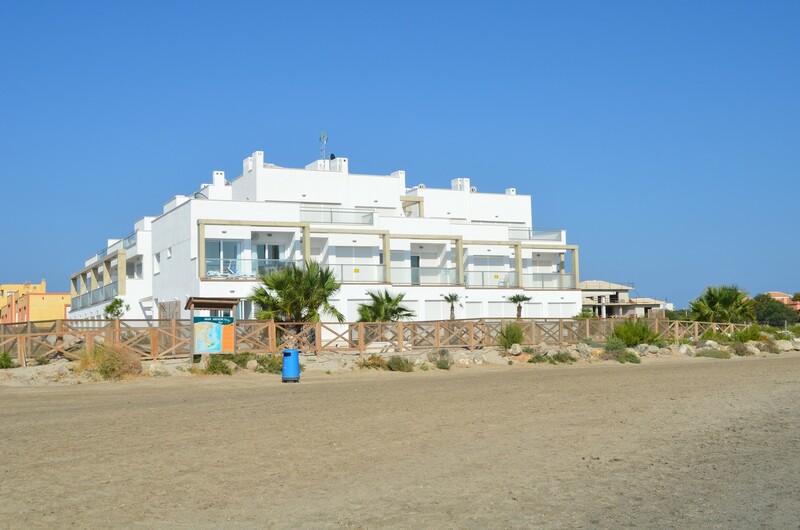 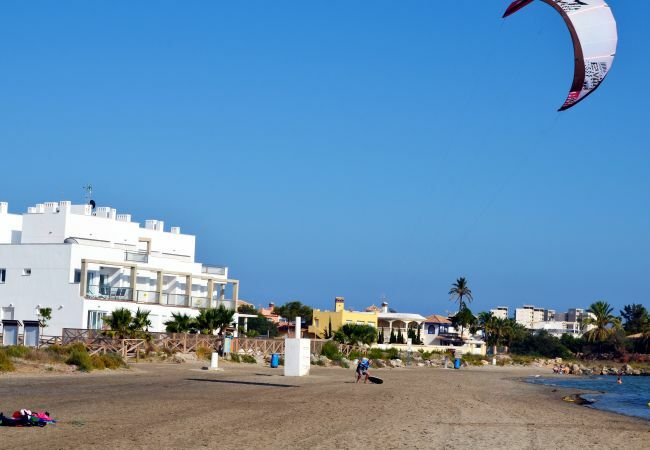 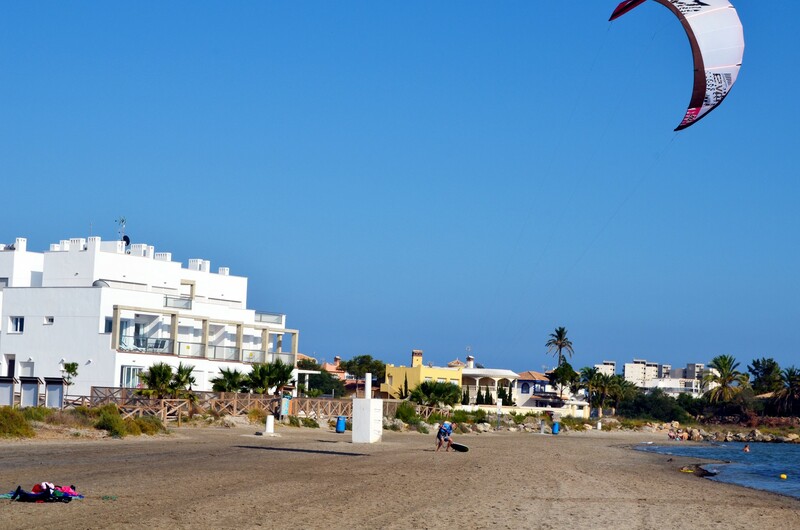 The apartment has parking, a large community pool and children's pool, the beaches of the Mar Menor are located directly in front of the apartment. 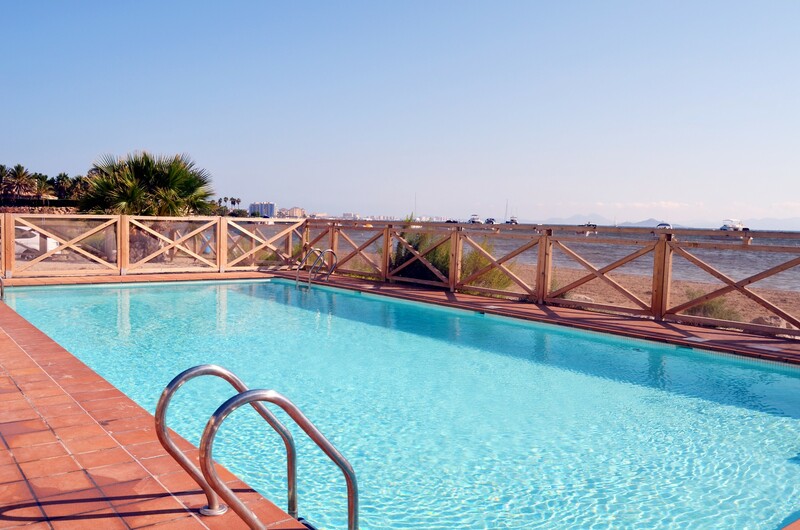 If you want to chill out it would be harder to find an apartment of this quality to do this, it also is great for a family to relax and spend time in the pool and the sea. 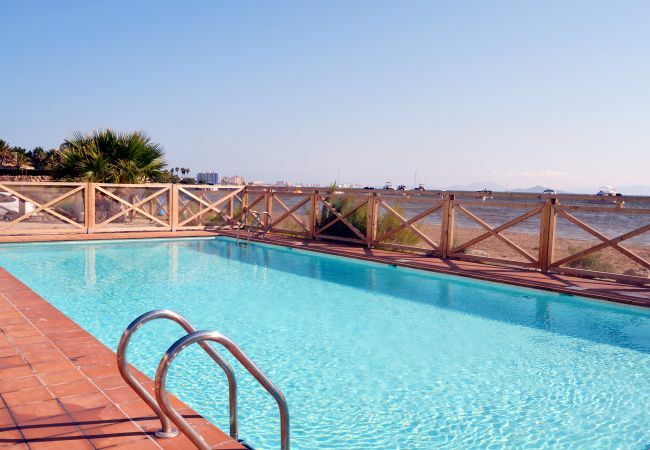 - Amenities include a new fully equipped kitchen, flat screen TV and DVD player, use of the complex swimming pool, and a private patio. 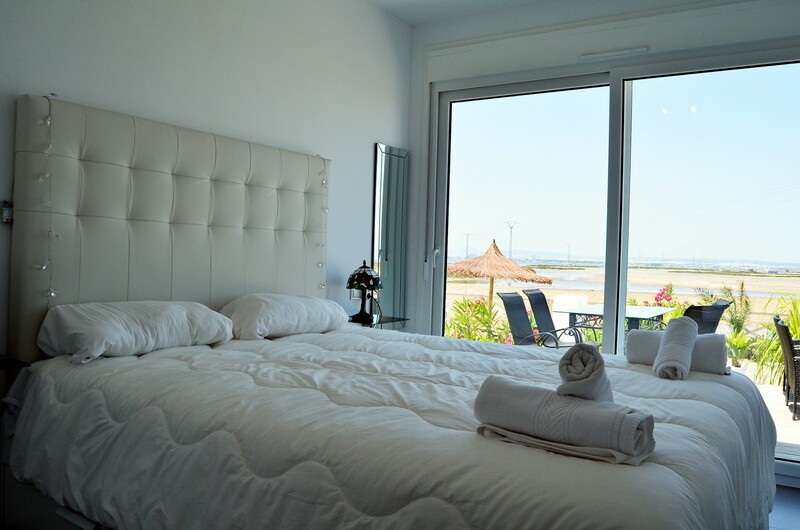 - 1 King size bed, 1 Double bed, 1 Sofa bed. 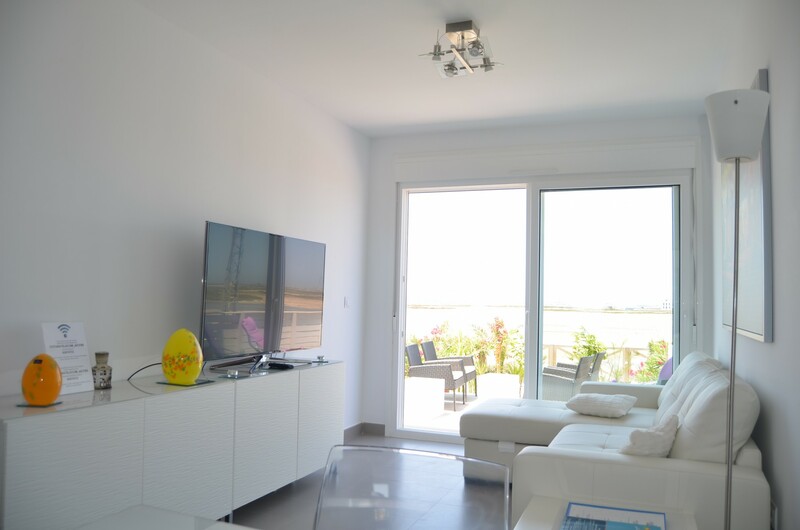 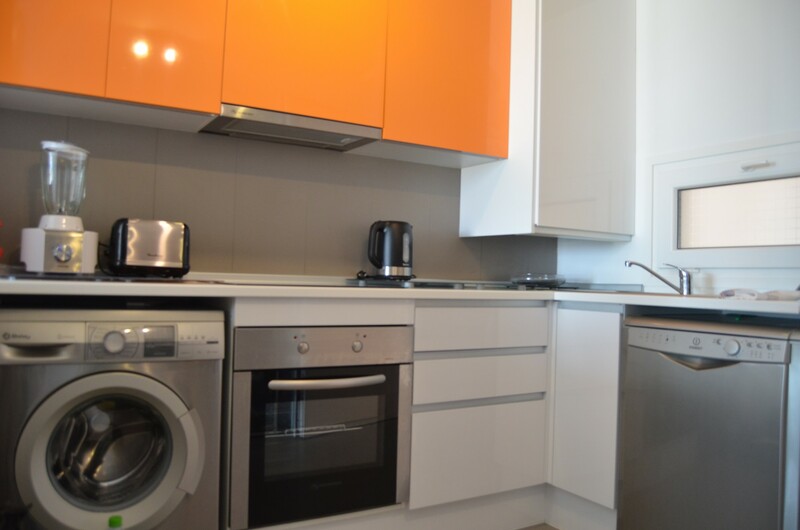 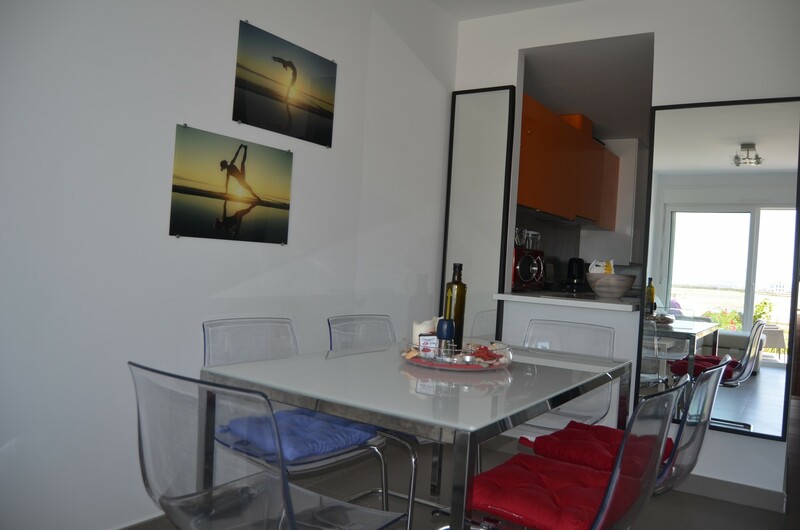 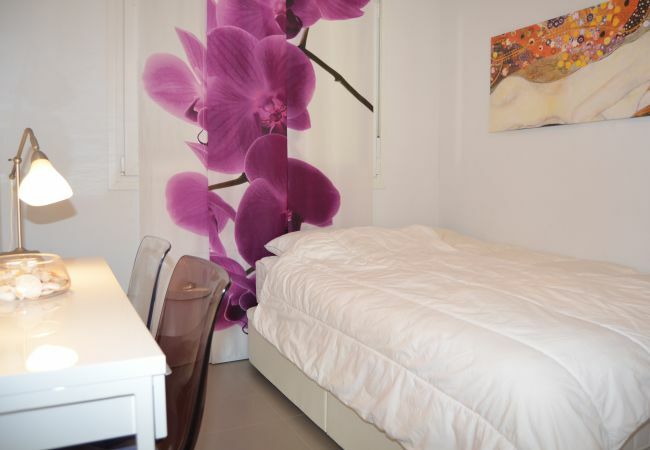 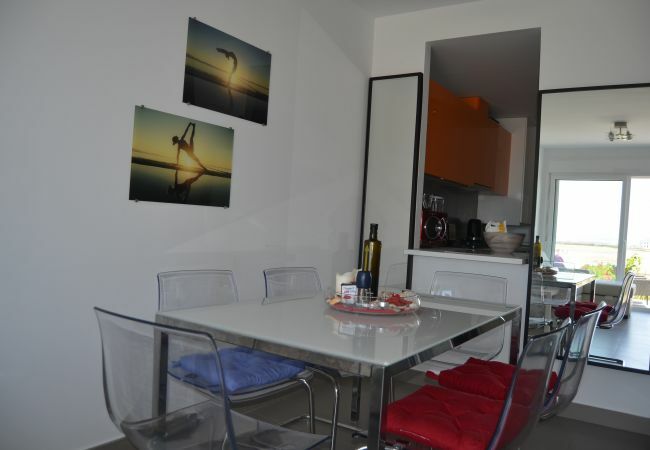 - 1 TV, Stereo, DVD, lift, garden, garden furniture, terrace, iron, internet (Wi-Fi), hair dryer, 72 m² property, central heating, air conditioning throughout the house, communal+children's swimming pool, Open-air parking in the same building. 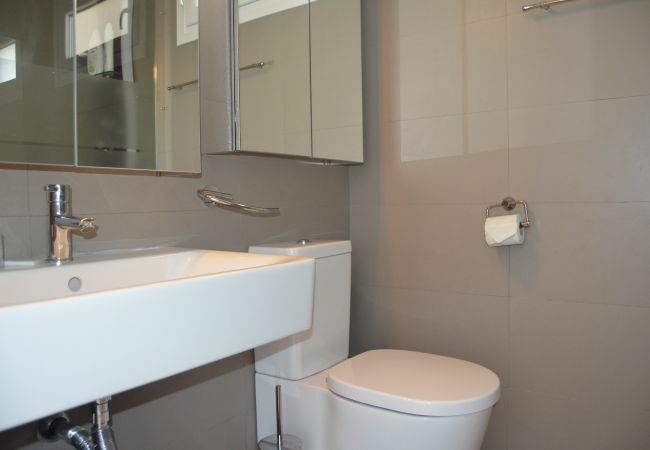 - reduce appearance of aints.